A parietal lobe stroke can have a variety of physical and cognitive effects because the parietal lobe is a key region of the brain that controls a number of important functions. If you or a loved one has had a parietal stroke, you may notice effects of diminished sensation, vision changes, and decreased ability to carry out complex tasks. The parietal lobe is a substantial part of the cerebral cortex. It spans the upper and mid sections of the brain near the mid-to back region. We have a right parietal lobe and a left parietal lobe. The parietal lobes are primarily involved with sensation, awareness of body position, vision, reading, and speech and they interact with other regions of the brain, connecting sensory input from the environment with awareness and interpretation of that information. The right parietal lobe allows us to make sense of how the left side of the body feels and the left parietal lobe allows us to make sense of how the right side of the body feels. The dominant parietal lobe (usually the left side) helps us understand speech. The parietal lobes also help us make sense of our vision and give us awareness of our body position to help us coordinate our movements. What Is a Parietal Lobe Stroke? A parietal lobe stroke occurs when one or more of the blood vessels that supply blood to the parietal lobe becomes blocked or bleeds. The parietal lobe receives its blood supply from the middle cerebral artery, the anterior cerebral artery, and the posterior cerebral arteries. A parietal lobe stroke may result in impaired sensation. Stroke survivors are generally unable to detect exactly where on the body (for example, which part of the arm, hand or leg) a sensation is specifically located. A parietal lobe stroke can also interfere with the sensation of the entire opposite side of your body, or just a small area, such as your hand or foot. Some people experience unusual sensations, called paresthesias, even when nothing is touching the affected part of the body. Often, a portion of vision is lost, making it difficult to see or to recognize and reach for objects. Vision changes caused by a parietal stroke are often described as homonymous hemianopia, which is symmetric or almost symmetric loss of vision of both eyes. A parietal lobe stroke is most likely to result in inferior quandrantanopia, which means loss of vision affecting either the left or right lower fields of vision of both eyes. Often, after a parietal stroke, stroke survivors are not aware of the stroke. The parietal lobe controls your perception of yourself and your ability to know where the parts of your body are. Some survivors of a parietal stroke do not get weaker, but still have trouble figuring out how to move the body in a normal, purposeful way. Many parietal lobe stroke survivors experience hemiagnosia, which is the lack of awareness of one side of the body and one side of the environment. Stroke survivors who have asomatognosia are unaware of sensations or objects on one side of the body and may be so unaware of the issue that they adamantly deny that there is a problem or that their own body part belongs to them. Sometimes, a parietal lobe stroke causes a similar, but milder effect called extinction. Stroke survivors who experience extinction may notice the impaired side of the body, but not if there is simultaneous stimulation on the 'normal' side at the same time. Another problem called alexia can occur after a parietal lobe stroke. This is characterized by the inability to read, despite clearly seeing the letters. Strangely, some parietal lobe stroke survivors experience a condition called alexia without agraphia. This means that a person can write, but cannot read. Motor apraxia can affect stroke survivors who have a stroke of the left parietal lobe. People with motor apraxia are not able to carry out motor skills such as brushing hair, despite the fact that they are not weak. Gertsmann syndrome is a trademark of a parietal lobe stroke. Stroke survivors who have Gertsmann syndrome are confused between left and right, cannot name the fingers on the two hands, cannot do simple math calculations, and cannot write. When a parietal lobe stroke is large, it can cause edema (swelling of the brain) within the first week after the stroke occurs. This is a dangerous situation, but with careful medical treatment the swelling usually resolves and most people experience a degree of improvement. Recovery after a parietal stroke takes time and hard work, including intense rehabilitation. It is a challenge taking care of a stroke survivor who has had a parietal lobe stroke. Sensory loss can result in injuries because your loved one might not notice sensations such as hot temperatures or sharp objects. 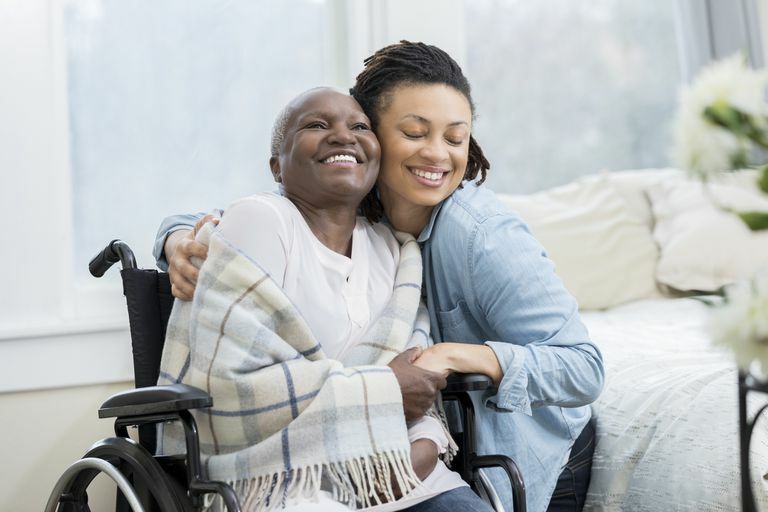 The burden of caring for a stroke survivor who has had a parietal lobe stroke is heavy, and it is important to try to get as much support and information as possible from the health care team, from your family, and from support groups. Etcharry-Bouyx F, Le Gall D, Jarry C, Osiurak F. Gestural apraxia. Rev Neurol (Paris). 2017 Jul - Aug;173(7-8):430-439. doi: 10.1016/j.neurol.2017.07.005. Epub 2017 Aug 26.